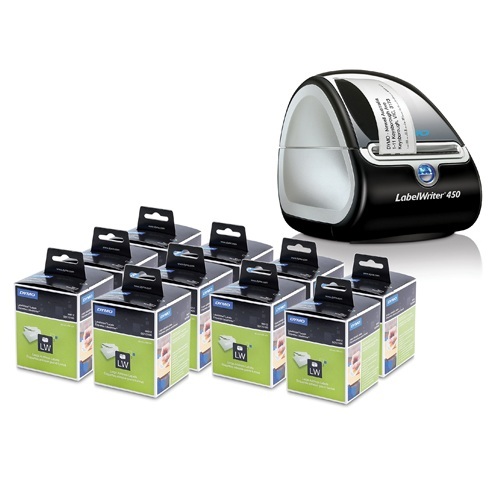 DYMO® LabelWriter makes it easy to print laser quality labels one-at-a-time or many-at-a-time from your PC or Mac, eliminating the hassle of using a laser, inkjet or network printer. 600 x 300 dpi direct thermal printing. Easy to share on a network. Connection by USB port. Supports all major barcode and graphic formats. 2 Year Product warranty. 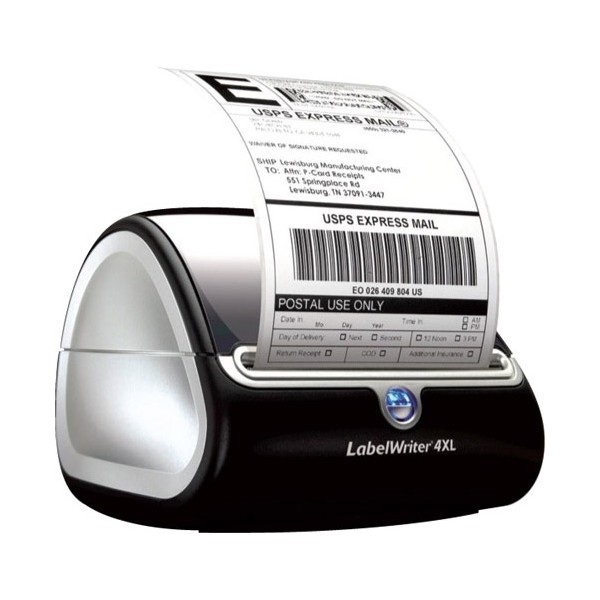 Print basic labels for envelopes, files, packages, CD/DVD's, inventory, barcodes and more. Automatic back-up of first labels. Up to 60 mm wide labels. 51 labels per minute print speed. All the great features that the LW450 offers but faster! 71 labels per minute print speed. Perfect machine for the high volume user who needs large numbers of labels or the flexibility to choose between two label styles. Automatic switch between Left and Right side at end of label roll. 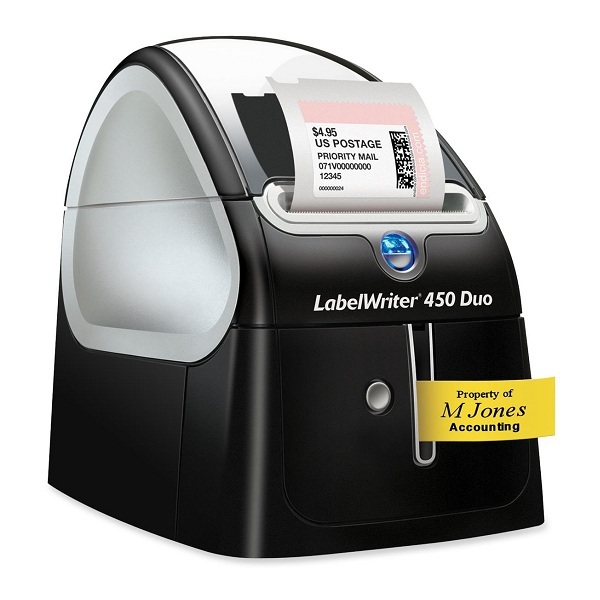 Combines a LabelWriter LW450 Turbo with a PC LabelManager machine. 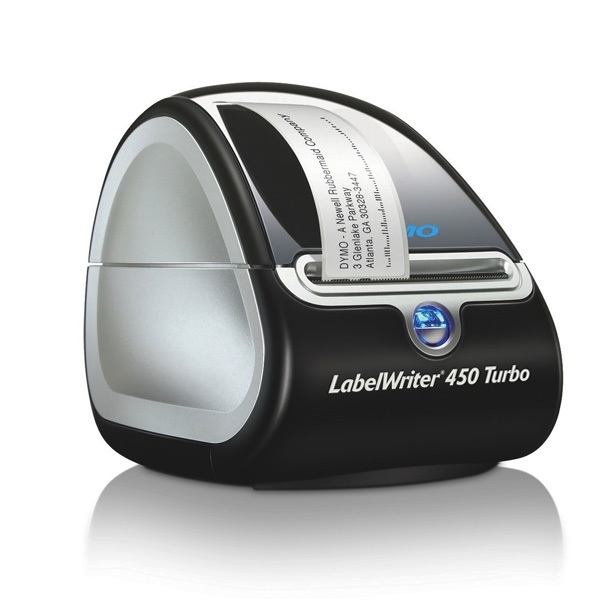 TOP: All the great features of a LabelWriter LW450 Turbo. BOTTOM: Enables the printing of continuous tape. 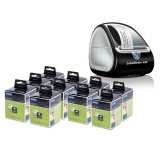 Uses 6, 9, 12, 19 and 24 mm DYMO D1 tape. Prints on a wide variety of labels for many applications, from office to commercial environments including shipping and receiving, inventory control, retail, healthcare and transportation and logistics. 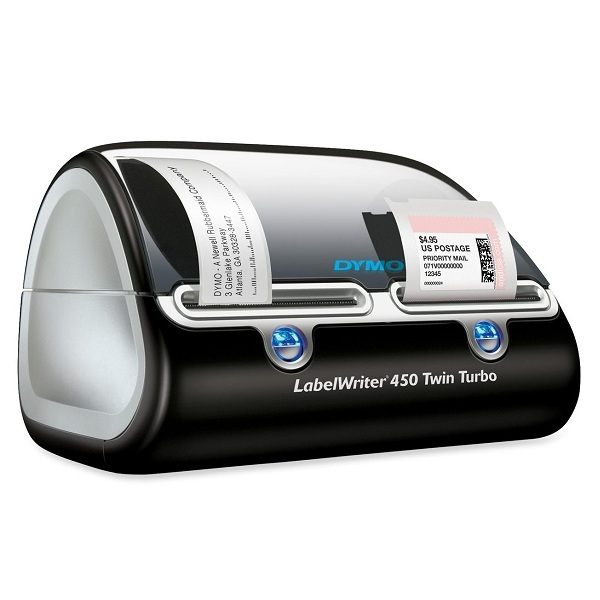 Takes all DYMO LabelWriter labels including the new 105 x 159 mm XL Shipping labels. Up to 105 mm wide labels. 53 labels per minute print speed. Seamlessly integrate label printing into any custom application running on Linux, DOS, Windows, Mac, or embedded Platforms. 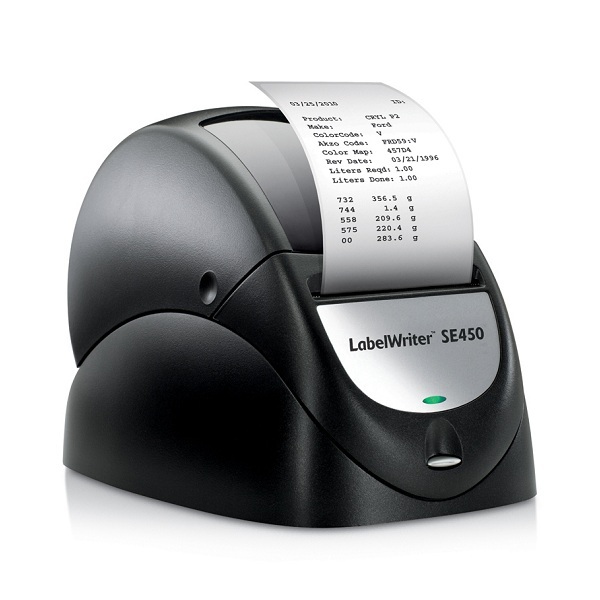 Connect it via an RS-232 serial or USB port, and use a simple command language to print labels from within your application. 48 labels per minute print speed.